As I am getting closer to my third year anniversary as a freelancer, and since I also mentioned how every now and then I may write a blog entry here and there to share some additional insights on what it is like the life of an independent adviser (around Social Business and Digital Transformation, in this case, for yours truly), I thought I would go ahead and share across this article today where I would like to reflect on some of the perks I have enjoyed myself the most about being a freelancer in the so-called gig economy. Don’t worry, I know what you are thinking as well, that’s why I am also planning on reflecting on some of its various disadvantages no-one seems to be telling you about just as you keep wondering whether it’s a good time, or not, to start your own freelancing career and leave behind your job as a salaried employee. All in all, and through this blogging exercise, I am hoping to provide a somewhat balanced overview on what it is like being an independent and, essentially, share a few of the things I have learned along over the course of these last three years. Time more than enough, I would think, to confirm whether freelancing really is the future of work or just another buzzword, overhyped to no end, as we try to figure out what’s the Future of Work going to look like, potentially, instead of, perhaps, doing something a bit more meaningful and purposeful as we help redefine the Present of Work itself. What do you think? Hype or sharp reality then? Freedom: This is, perhaps, my all time favourite perk from being a freelancer and by far! Freedom. 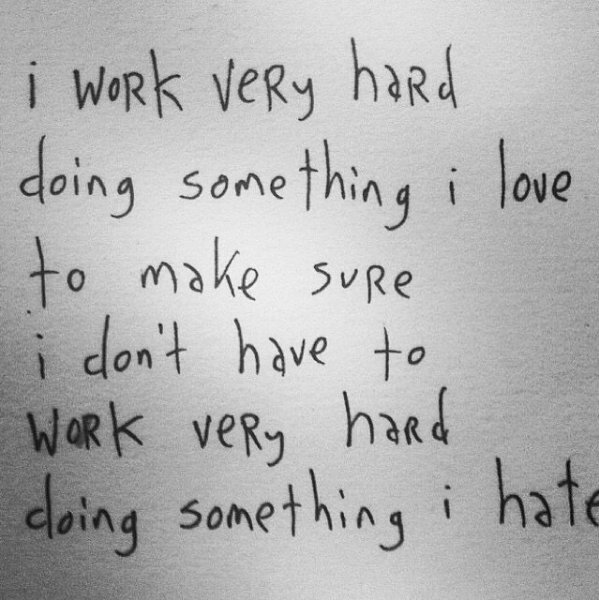 And it’s not necessarily about doing whatever you want, but more along the lines of deciding what you love doing, as in what you enjoy the most in investing your time, effort and energy and then do it! Yes, I fully realise that plenty of people would advise you that things don’t work out that way in most cases, but then again you can prove them wrong. It’s that kind of freedom where you embark on doing what you love. Period. No exceptions. Flexibility: My second favourite perk of being a freelancer and it looks like I’m not the only one who enjoys it. The best thing about flexibility is that it allows you to learn, through firsthand experience, how you really work, and perhaps much more importantly, it helps you also understand your own productivity and creativity peaks. It helps you comprehend, and fully embrace, how you may have slow days where hardly anything happens and you are lucky if you clock a couple of hours of good work, and then you have got days when you clock in 12, 14 or 16 hours of really good work as if the day just went by in a flash and you are as fresh as when the day got started! If only we were more open and keen on learning about how our very own circadian rhythms work. Something tells me we would all be much better off altogether. Well, the world of freelancing is no different, perhaps even more prominent, because, you know, you are just yourself out there in a brave new world of trying to make ends meet month in month out and, as such, networking for us all freelancers is no longer a nice-thing-to-have, but an essential, critical skill to master in this day and age as my good friend Harold Jarche demonstrates repeatedly with #PKMastery. So if there is anything in this regard I appreciate quite a bit is the opportunity to be constantly networking with people, as I have written rather extensively in this blog for a good while already, and let it down to both curiosity and serendipity to do the magic. Focus: It wasn’t easy at the very beginning, and probably rightly so! Doing freelance work in the age of far too many distractions floating all over the place requires plenty of discipline, hard work and dedication. That’s why focus was perhaps one of the most unexpected perks I acquired, as freelance work kicked in, right from the start. Learning how to work alone can prove to be rather helpful as well. Fully embracing deep work will be another blessing to add into the mix, mostly, because it will help you fight one of the biggest myths of today’s workplace: our ability to multitask. Yes, it’s a myth. Get used to it. A myth that’s bad for our brain and, overall, for our very own health. 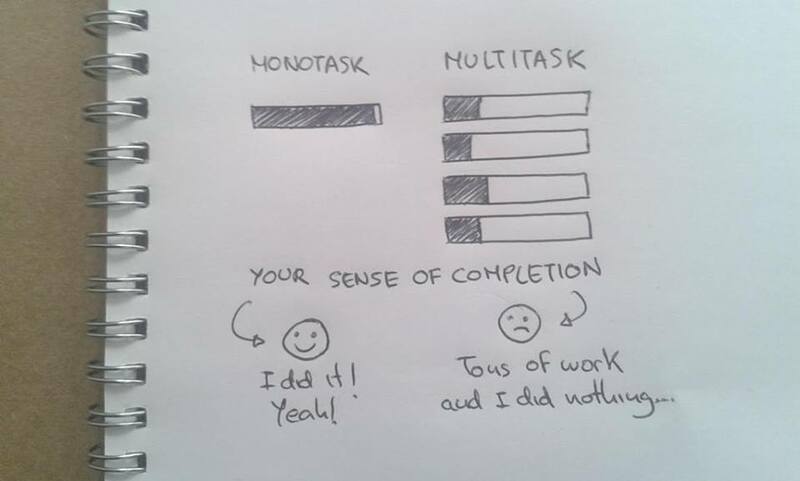 That’s one of the reasons why, back in the day, I switched into single-tasking, through the well known Pomodoro Technique, to, eventually, get work done, task by task, much more effectively altogether. So when doing client work it’s amazing what being focused on the task at hand can do to your overall effectiveness, productivity and morale. The fact you can produce and create a whole lot more in less time, finally, allows me to embrace, fully, the good old mantra I have written about over here a few times already: ‘work smarter, not necessarily harder’. Free Time: One of the immediate outcomes, and wonderful consequences, of becoming more focused on the tasks at hand, when working with clients, is that, all of a sudden, you realise you are starting to free up plenty more time that you can then dedicate it to other activities whether work related, or not. That’s why I’m spending a whole lot more time outdoors (as you can see from my Instagram and Flickr accounts), exercising (running, too!) early in the morning while keeping up with some other healthy habits, which I can confirm have got plenty of additional great benefits to help me learn more or be even more productive, such as sleep, idle time, walking the dog, blogging, etc. etc. Learning: Now, you would remember how, not long ago, I wrote a blog entry over here about ‘Learning is the work’ to describe plenty of the work related activities I have embarked on since I went independent that have transformed themselves as well into learning opportunities. Well, that’s another perk of being a freelancer, that constant, lifelong learning experience where curiosity about everything that’s around you and your business (after 17 years of being a salaried employee) entices you to want to learn more. It’s an everlasting activity that’s nicely complemented with the free time I mentioned above, because, all of a sudden, you realise things slow down a fair bit to help you see them with a different perspective, reflect and learn accordingly whatever may be happening around you and your work. And there is a bit of everything in there: good practices, worst practices (Yeah, I know, I just made up that word, but you will find out pretty soon why! ), lessons learned, opportunities, challenges, personal development, you name it. They say the moment you stop learning at work, that’s the moment you start dying a little bit inside. I can tell you though there is never a dull moment when doing freelance work, which I guess it’s good news! Reading: If I were to name another unexpected perk of becoming a freelancer that I have enjoyed tremendously over the course of the last three years that would be the one about reading. Again, thanks to having the opportunity of freeing up more time, as I have mentioned above, it’s given me the enormous pleasure of rekindling my love for reading (whether business related or not!) and not just books, but also articles, white papers, reports, studies, research, publications and whatever else. One immediate benefit of such an increase of my own reading activities is that I have noticed how much richer my blog posts have become with plenty of links shared across about items I find interesting and relevant, which is brilliant because it helps me add further nuances on already existing conversations hoping to add my two cents worth of additional commentary. The same would go for curating hyperlinks to helpful reading materials I may want to come back to over time, like I have mentioned in previous blog posts with Slack becoming my personal knowledge hub as an example. But who knew that reading would be one of our secret weapons? That writing about what we read is a very powerful learning activity? That reading a book can be a healthy activity in the long run? That it will trigger your brain activity with a boost? That you would become more empathic altogether? Or happier? Whoahhh! See what reading can do to you? 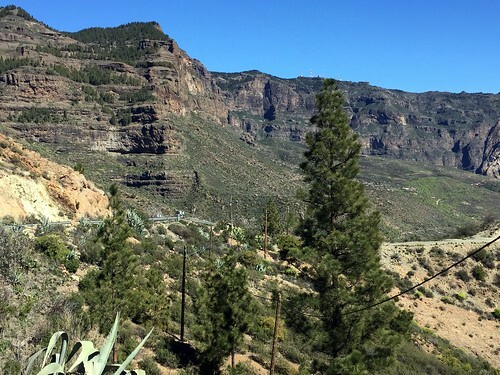 Back when I was a salaried employee, I was working remotely already from Gran Canaria, Spain, and, as you can imagine I thought, at the time, I had a pretty good balance between both work and life. Yeah, I can see plenty of you thought the same thing. However, little did I know that when I, finally, went independent I would truly understand the whole notion behind work – life integration and it has all got to do with breaking up with the Cult of Busyness. Because, with it, we have got to add into the mix feeling overworked, stressed out, unhappy, miserable, dangerously unwell, addicted, etc. etc. It’s all about Quality of Life. And I do realise it’s all easier said than done, but being a freelancer over the course of last three years has helped me, at long last, fully understand as well, some times through trial error, silly thoughts, utopian ideas and other crazy thoughts, how, perhaps, working hard has never been the answer; how we should treasure more the one finite resource we have got allocated upon us (i.e. time) versus other material goods, including money; how we need to stop telling people how busy we all are we just can’t get work done altogether, and how we may have other choices. 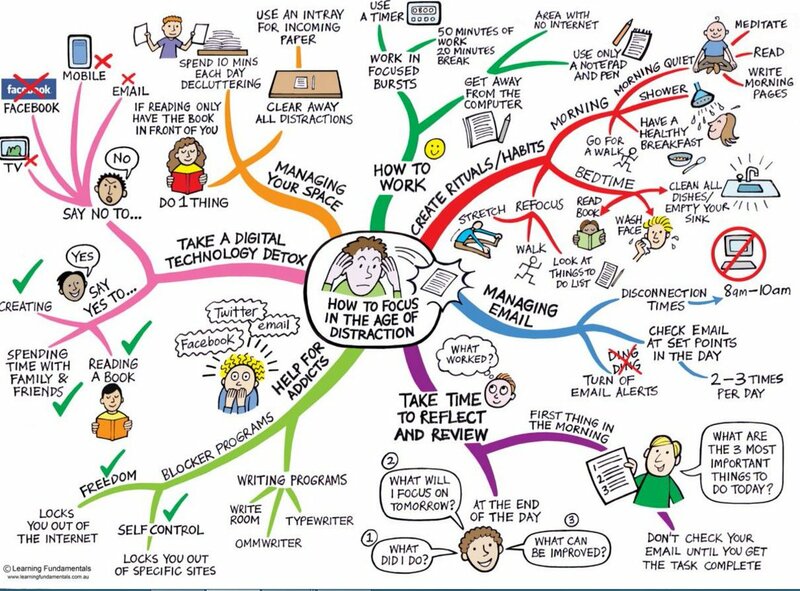 Interesting and rather thought provoking choices like learning how to break our addiction to work, how a potential solution to vast majority of our business problems today may well be to work less, or even mastering the art of doing less, who knows. Or perhaps we should start questioning harder why is it we keep treasuring that Cult of Business as if there is not tomorrow, when it’s been demonstrated, time and time again, how the world’s most productive countries also have the shortest workdays, never mind the happiness factor. Yes, I know, you can now see for yourselves, firsthand, what my mind keeps buzzing around while in between client projects. You know, that’s what freelancers (and salaried employees, too, I am certain!) do on a rather frequent basis, when the right conditions AND context are provided: think about the what next? Being a freelancer has got lots of perks, with an increase on Quality of Life perhaps being my all time favourite one so far, as you can hint from the above long list, which will keep growing, the list, that is, as I have come up with a few more already that I will be putting together in an upcoming blog post to keep describing what it is like being part of the so-called gig economy. But, at the same time, there are also some disadvantages. Plenty of them, actually. Of course, it is not a rosy world where everything works just right, so I will also be putting together another article where I will list and detail some of those cons. As you can see, it’s all about striking that balance and ponder whether it’s worth the effort becoming a freelancer to enjoy the various different advantages while putting up with the burden of some of those challenges themselves I will be talking about shortly. It’s a thin line, I can tell you that, but, at the same time, these past three years have been one of the most rewarding periods of time from my 20 years work experience in the IT industry to the point where it may well have been the best decision I have ever made. And by far. Going freelance. Now, here’s a final reflection, as an open question, I’d want to leave you all with: what’s your favourite perk of being a freelancer or a salaried employee? Will both of them ever blend together to become one? What I like most about being freelancer is choosing your own niche and expertise you want to develop. When I worked in an organization they were asking about my ‘flaws’ and how to develop those (soft skills). They never asked about expertise and if I brought this up, they rather wanted me to work within the existing knowledge domains. I agree with you 100%, Joitske, how the game changes when doing freelance work, more than anything else because finding your niche of expertise is tied in, precisely, with finding your purpose: why would you want to do what you would want to do? Thanks a lot, once again, Joitske, for the great feedback! A superb post. I’m with you all the way. But it sparked some self-examination. On a somewhat trivial level first, I can set my own travel budget. If I want to stay in an expensive hotel or have a great meal before a challenging meeting then I don’t have to get someone to sign off the expense account. To be sure the costs come out of my pocket but all the stress of travel vanishes as a) I made the initially optimum-to-me choice and b) if I have to change to something more expensive to get the job done well I don’t have to explain it to an expenses form. At a more important level I only do interesting projects. That way the client gets 110% commitment and I learn from pushing my experience envelope. Of course if I don’t do non-interesting projects there is a cash flow implication but I build that into my business plan and the fees I charge for the interesting projects. In 17 years of business I have only had one unprofitable year and that is when I carelessly doubled counted some revenue and had to reverse it out of my accounts at the end of the year. My accountant now does quarterly management accounts so that won’t happen again – ever! Then finally I can do pro bono work, which enables me to give something to an organisation that they need but could never afford. This year I sorted out a messy what-CMS-shall-we-buy project for a charity by turning up at a meeting for a few hours and gently knocking some heads together. Since I don’t need to bill every working day (if you do your business plan is broken) it cost me nothing and it was a highly satisfying day of work. They don’t appear on my client list as I was just a visitor to the office who inadvertently walked into a meeting. Hi Martin, thanks ever so much for the kind comments and for the wonderful feedback! Glad you have enjoyed the blog post and very happy to read it resonated with you as well. What a treat for yours truly! RE: ’interesting projects’, this is just such an important piece of advice and one that I also try to follow it religiously over the course of time, more than anything else because of a little detail you have included above as well already: the client gets 110% commitment. I know that this would not apply to plenty of freelancers out there, as they may be dependent on generating certain amount of revenue per month to keep things going, so some times they are bound to work on client projects where the interestingness may not be there and, while unfortunate, it certain helps pay the bills. I have seen it all the time. However, your point is dead on, it’s always what I aspire to when working with clients, more than anything else, because it sparks a whole new level of conversations into exploring the true potential of projects for maximum impact over the course of time, not just the short term outcomes. Also, and rather typical, there is a great chance that with an interesting project there is always an opportunity to have a good challenge as well, never mind the opportunity to do great work, which means there is always a learning curve involved, both for the client and for us freelancers. This is also what I like the most about having such a luxury of us choosing the client projects and knowing when to kindly and gently say ’No, thanks!’. RE: ’Pro bono work’, oh, yes, this is another topic I touched base on, but not on this particular blog entry, but on the one where I talked about the downsides of freelance work where I tried to make a distinction between doing pro bono work and being poached around left and right by getting asked to work for free on specific projects where you know you are going to be abused. It’s a very very thin line, I know, but it’s one we keep learning, through iteration, how we get better and better time after time deciding what pro bono work is really worth while doing to help other folks and what’s just plain abuse of one’s good will. Have a look into that blog post and see what you think. See whether you can relate to some of those drawbacks from your extensive experience as a freelancer, Martin. Many many thanks, once more, for the fantastic feedback and for taking the time to drop by and share it across! I very much appreciate the inspiration and the generous contributions! Hi Luis, being a freelancer it’s never been an easy endeavour, but all the work, time and sweat spent in your own projects pay off in the long term. The perks you pointed out sum up the benefits of freelancing. Flexibility and freedom are some of the qualities people use to relate to us but there are many things beyond that. Meaning is definitely a big pro of this ‘profession’. You explained it in a way we feel identified. Thank you for this reading. Keep up the good work, Luis! Hello Randall, many thanks for dropping by and for taking the time to share those lovely feedback comments. I very much appreciate it. Apologies for the long delay on the response, as I have just noticed your comment got trapped in the spam queue and just had to recover it accordingly. Phew! Thanks for the understanding and for the patience. Indeed, you are so spot on with your comments shared above. There are plenty of benefits and perks for being a freelancer in today’s day and age and I guess after a couple of years of having written the above article I suppose I ought to update it from where I left it. I wholeheartedly agree with you that *meaning* is right up there in terms of my favourite perks and still remains the same, even today. It’s rather interesting to notice as well how I have been freelancing now for nearly 5 years and one of those work related activities that I can no longer underestimate still remains *networking, networking, networking*. And somehow I keep having way more fun with it than ever before. I suppose it’s all due to one other innate trait I have learned to love and treasure a fair bit: *curiosity*. Freelancers usually are rather curious about the work they do and the folks the work and network with and I’m certain in an upcoming follow-up article it will come again! Thanks again for the wonderful feedback and for sharing the link adding into the conversation! Much appreciated.